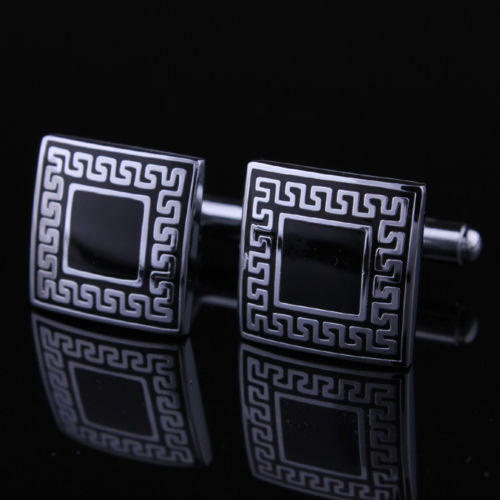 These cufflinks come with an Ancient Greek pattern that is stamped on the sides. 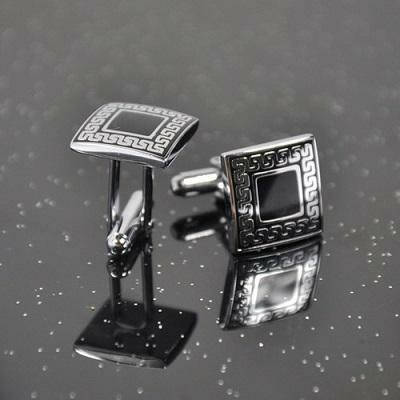 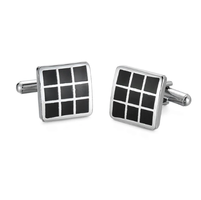 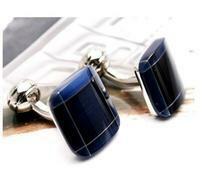 Cufflinks are square shaped, the surface is coloured in dark black but patterns are highlighted with a silver colour. 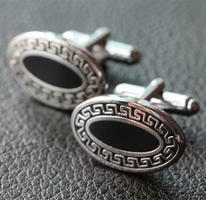 Combination of black and silver and Ancient Greek pattern makes feeling of strong and expensive looking jewellery. 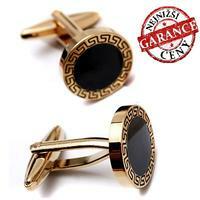 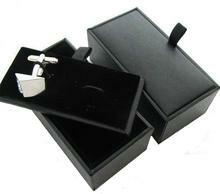 Cufflinks are an ideal present in opportunity of birthday, Christmas, graduation ceremony. 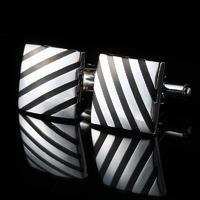 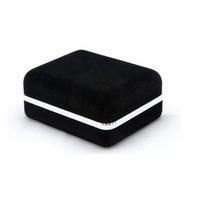 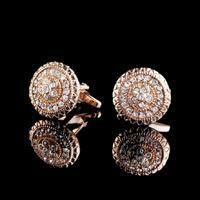 Cufflinks are an appropriate jewellery for wedding days or another feast-days.